When The Monroes hit the stage, they want your jaw and the rest of you to hit the dancefloor. That is their musical mission! A truly international act that is so much more than a cover band, they’ve performed extensively throughout the Middle East, the United Kingdom, South Africa, Australia, India and our bass player even gigged in Uganda once, scary! They have drawn on this experience and their band chemistry to come up with one of the most exciting entertainment experiences in New Zealand right now, guaranteed to get the party started. 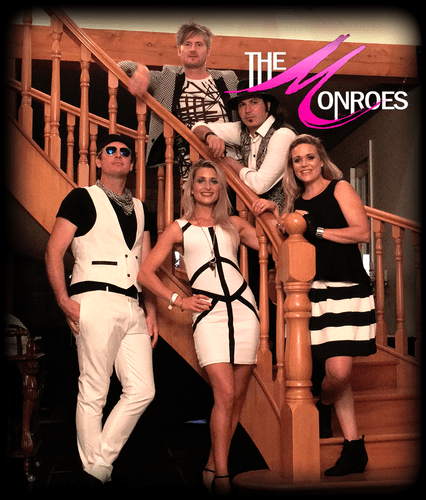 The Monroes are proud to have both female and male vocals giving them true versatility that covers many styles of music, but it is the stage show that the band is most proud of. Energy, Excitement, Entertainment. And that's just adjectives brought to you by the letter E. This is one covers band that will excite your senses and exceed your expectations. What songs will you hear? Rock n Roll, Disco, Funk, 80’s Pop, 90’s Rock and even that tune you’ve been hearing on ZM all year. Don’t miss the party of the year with The Monroes. Bar and Doors open at 7.30pm.